Custom pantone dyed t-shirts ensure your charity’s branding is recognised. Kustom Clothing produces high quality poly cotton mix t-shirts that are custom made to your exact charity pantone. We are now also able to produce sublimation cotton t-shirts. Sublimation dyeing allows garments to keep their colours longer and in turn we can produce these high quality t-shirts to your exact requirements. Male, female and kids sizes are available along with custom woven neck labels or thermal printed logos on the inside collar. Free design service is available for these t-shirts. We do have a minimum order quantity of 100 on these t-shirts but competitive discounts are available on all large orders. As usual we will produce your t-shirts very quickly and to a very high standard. 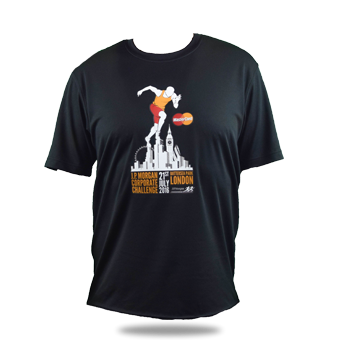 These t-shirts are perfect for an large event or renewing your yearly stock.